Canada adopting ZEV policy: Canada will be developing a national policy supporting more adoption of zero emission vehicles for release next year. The ministries of Transport and Innovation, Science and Economic Development will work with provincial and territorial partners, industry, and stakeholders, to promote sales and infrastructure for battery electric, plug-in hybrid, and fuel cell vehicles. An Advisory Group has been set up to explore five key barriers for greater adoption of these vehicles: vehicle supply, cost and benefits of ownership, infrastructure readiness, public awareness, and clean growth and clean jobs. The national government has been funding more charging stations and alternative fuel gas stations including hydrogen and natural gas. Resolving differing fuel economy policies: Six U.S. senators introduced legislation Friday to bring consistency to the practice of transferring fleetwide credits earned under National Highway Traffic Safety Administration and Environmental Protection Agency emissions programs. It’s been asked for by automakers since last year, but is finding opposition from environmental and consumer advocacy groups concerned it weaken federal emission standards. The Fuel Economy Harmonization Act is aimed at correcting statutory differences between the programs related to the expiration date, amount and type of credits manufacturers can earn in one model year and apply to another. Regulators would also be called upon to harmonize other aspects of their programs. Nissan selling stake in AESC: Nissan is close to selling its stake in battery supplier AESC (Automotive Energy Supply Corp.), which has supplied battery cells and modules to the Nissan Leaf, e-NV200, and a few Renault models. The Japanese automaker has owned a 51% stake and NEC Corp. the remaining 49%. Nissan will be selling its stake to Chinese private equity firm GSR Capital for $1 billion in a deal expected to be signed within two weeks. 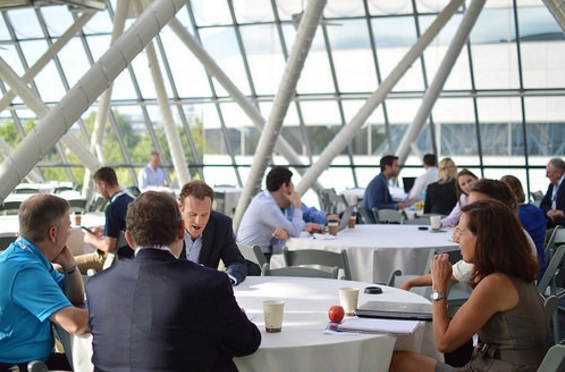 The EV Roadmap Conference brings together stakeholders from utilities, local governments, vehicle manufacturers, charging providers, interest groups, and drivers to explore emerging trends, share best practices, and map the road ahead. Produced by Forth (formerly Drive Oregon), the event will take place June 20-21 in Portland, Ore. Attendees will explore widespread electric vehicle adoption and the supportive ecosystem needed for it to succeed. ITEC2017 is aimed at helping the industry in the transition from conventional vehicles to advanced electrified vehicles. IEEE’s Transportation Electrification Conference & Expo will be held June 22-24 in Chicago. The conference is focused on components, systems, standards, and grid interface technologies, related to efficient power conversion for all types of electrified transportation, including electric vehicles, hybrid electric vehicles, and plug-in hybrid electric vehicles; as well as heavy-duty, rail, and off-road vehicles and airplanes and ships. EV battery costs dropping: A new study by Bloomberg New Energy Finance indicates that declining battery costs will mean electric vehicles will also be cheaper to buy in the U.S. and Europe as soon as 2025. In EVs, batteries make up about half the cost. The study predicts that prices will fall by about 77 percent between 2016 and 2030. French carmaker Renault predicts total ownership costs of electric cars like its Zoe will be conventional to gasoline-engine cars by the early 2020s. 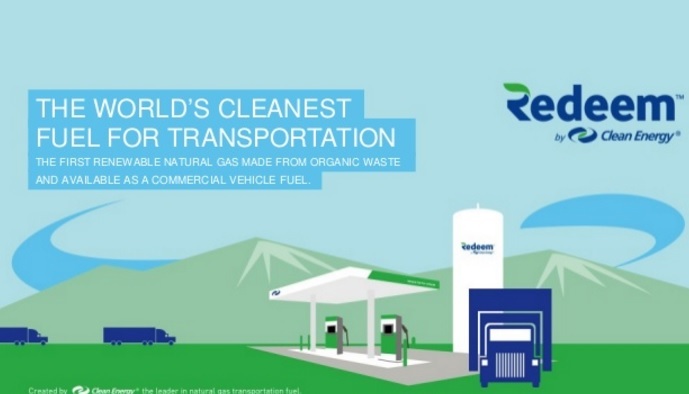 RNG in Metro buses: Clean Energy Fuels Corp. announced that the Los Angeles County Metropolitan Transportation Authority (Metro) has awarded Clean Energy a renewable natural gas (RNG) contract to fuel its fleet of transit buses with Redeem brand renewable natural gas. The fueling contract begins with a one-year pilot where Clean Energy will provide Redeem to one of Metro’s eleven compressed natural gas stations, which are currently operated and maintained by Clean Energy. Each station provides fuel for approximately 200 CNG buses. That may lead to the company providing its RNG to the entire Metro fleet of 2,200 natural gas buses for four more years. Tucker Perkins new CEO: The Propane Education & Research Council has named industry veteran Thomas “Tucker” Perkins as its next president and chief executive officer, said PERC Chairman Thomas Van Buren, who also led the executive search team. Perkins, 60, joined PERC in 2012 as Chief Business Development Officer and most recently served as Chief Operations Officer. Current president and CEO Roy Willis, 67, who has led the PERC staff since operations began nearly 20 years ago, recently announced that he will retire on July 31, 2017. Willis will serve in a supporting role for a limited time to help with the transition. Big cuts in Trump’s DOE budget: The Trump administration is proposing dramatic cuts to the Department of Energy budget for the 2018 fiscal year, which begins October 1. Funding would be cut entirely for the Clean Cities program and the DOE’s Vehicle Technologies Program would see huge cuts. You can view the proposed DOE budget here with details on the cuts presented on pages 28, 47, and 48 in PDF document pages; these three pages can be seen on pages 22, 41, and 42 in the report’s page numbers at the bottom of each page of the Congressional Justification document. Weeks ago, news came out that Trump’s 2018 budget proposed eliminating the DOE’s Advanced Technology Vehicle Manufacturing Program (ATMVP) and Advanced Research Projects Agency-Energy (ARPA-E). Trump would like to see a $54-billion increase in defense spending that would be offset in cuts to other departments. DoE would see a $1.7 billion cut for the next fiscal year. Of the $28 billion in the DoE’s budget funding, about $1.4 billion will be increased for the National Nuclear Security Administration. Daimler quadrupling lithium-ion capacity: Daimler officially broke ground yesterday on a lithium-ion battery plant it says will be one of the largest in the world. 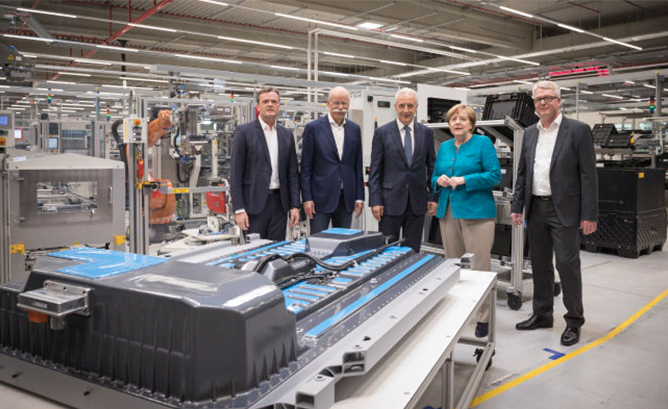 German chancellor Angela Merkel joined Daimler CEO Dieter Zetsche and other officials for a tour of existing plant in Kamenz, near Dresden, that will quadruple production once the second plant is finished in mid-2018. Combined, the Kamenz plants will cover about 861,000 square meters. Along with powering EQ all-electric cars and plug-in hybrids, the plant will supply Mercedes-Benz Energy storage units and 48-volt on-board power systems. The Germany automaker is putting about $560 million into the new plant. The number of employees working there will double to more than 1,000 by the end of the decade. The plant will be sustainably powered from a combined heat and power plant and a photovoltaic solar plant in combination with stationary battery storage units. 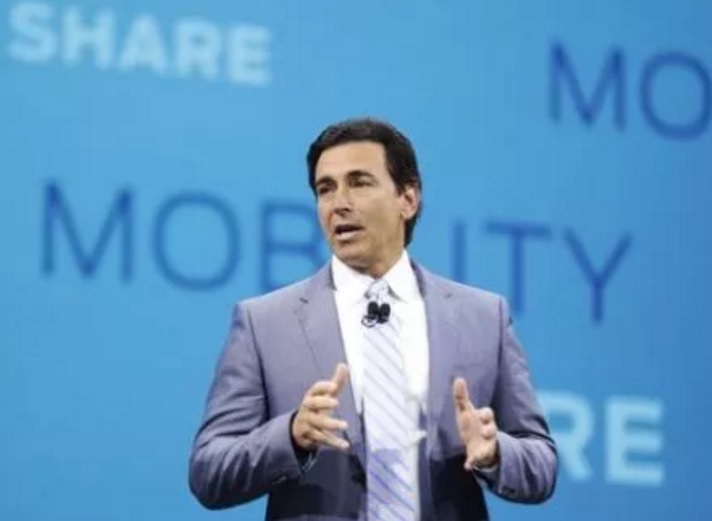 “The automotive industry is facing a fundamental transformation and we see ourselves as the driving force behind this change. The battery factory in Kamenz is an important component in the implementation of our electric offensive. By 2022, we will have more than ten purely electric passenger cars in series. We also continue to drive forward the hybridization of our fleet. Under the EQ brand, we are creating a holistic ecosystem for e-mobility,” Zetsche said. Sustainable Fleet Certificate: NAFA Fleet Management Association just released a listing of fleet managers who’ve earned a Sustainable Fleet Certificate. Fleet managers can now utilize the certificate to make a strong addition to their overall accreditation. Launched in April, the program was developed through a partnership between NAFA, Calstart, and NC State University. It’s been designed to educate fleet professionals in proven methods to develop sustainable fleet initiatives along with the skillset needed to meet their sustainability goals. Special recognition was given during the association’s recent annual conference in Tampa. NAFA developed the Sustainable Fleet Certificate program in response to a need uncovered after NAFA launched its Sustainable Fleet Accreditation Program (SFAP). Michele L. Bowles, CAFS, Fleet Manager, Washington Gas Light Co.
Marie Gianetti, Insurance Coordinator, Varian Associates, Inc. In order to earn a Sustainable Fleet Certificate, individuals had to attend a full-day training session for which they received a comprehensive study guide. The study guide provided the basis for the course materials, as well as the exam on which individuals were tested. Those who successfully completed the exam at the end of the training session earned a Sustainable Fleet Certificate. NAFA is working to offer the sustainable certificate training in autumn 2017. For information about NAFA’s Sustainable Fleet Accreditation Program and future training events as they are released, please visit www.nafasustainable.org. PEV sales in California way up: California saw a 91% increase of plug-in electrified vehicles during the first quarter compared to that same time period in 2016. All-electric vehicles led the way at 13,804 units sold, with the Chevy Bolt doing especially well at 2,735 vehicles sold during the first quarter. Tesla models and the Nissan Leaf also did well. Plug-in hybrids performed well, making up 10,466 units sold, a 54% increase over last year. Conventional hybrids like the Prius were down almost 10% during the quarter at 22,328 sold. The Toyota Prius Prime did well in the plug-in hybrid category. PEV sales made up 2.7% of new vehicles sales in California during the first quarter. BMW wants leadership in electric: BMW CEO Harald Krueger said the German automaker is focusing more on electric vehicles and connectivity than on increasing vehicles sales. Last year, the company reached its highest sales level at 2.37 million units sold from the BMW, Mini, and Rolls-Royce brands. It reached sales of 62,000 plug-in hybrids and 25,000 all-electric i3s last year. The goal is to hit the 100,000 units sold mark this year with electrified vehicles. While the company is committed to selling more battery-powered cars, Krueger sad that fuel cell vehicles will be important in the company’s future plans, as well. Subaru Corp. is taking electric cars more seriously than ever, as most automakers add these vehicles to their plans. 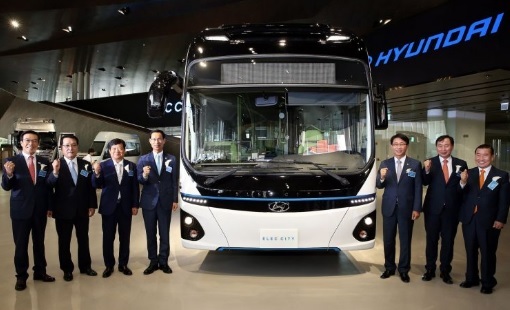 The company is looking into adding electric drives to current models over designing an all-new electric car, said Chief Executive Officer Yasuyuki Yoshinaga, in an interview on Friday. Subaru wants to stay with its reputation for making safe, well-rated vehicles, which would eliminate the need for partnering with another automaker, Yoshinaga said. The company will explore selection of suppliers for the battery and motor. A decision on it will have to be made in about a year, he said. 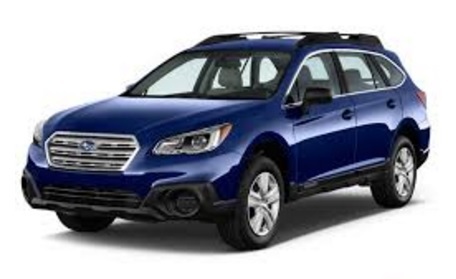 There had been a Subaru Crosstrek hybrid, but it was discontinued in 2017. Subaru has been able to hit emissions targets through California’s partial zero emissions vehicle (PZEV) standards created in 1998 as part of the state’s vehicle emissions laws, which then were stricter than federal rules. It’s typical to see Subaru models with the PZEV badge all over the country. PZEV standards could be met by add-ons such as anti-permeation fuel system liners, carbon air intake traps, and close-coupled catalytic converters. Government policies and subsidies are having their impact globally. The company is spending more on electrification research and development than other technologies like connected, automated cars. Subaru is budgeting 134 billion yen ($1.2 billion) on R&D in the year through March 2018, more than double what it spent in the year ended March 2014. It’s much less than other Japanese automaker like Toyota and Honda. Toyota, which owns a 16.9% stake in Subaru, plans to spend 1.05 trillion yen ($9.4 billion) on R&D in the current fiscal year and Honda plans to invest 750 billion yen ($6.7 billion). Subaru will continue spending on automated technology by investing more in the EyeSight driver-assist system. The CEO said that they’ll be limiting price increases on the technology, allowing them to offer the same safety suite across all models. EyeSight uses cameras that can detect objects such as vehicles, pedestrians, cyclists and motorcyclists, according to the company. It will be updated this year, with plans to add the ability to autonomously follow a car on congested highways. Fully autonomous highway driving is expected to be added in 2020, including the capability to change lanes. 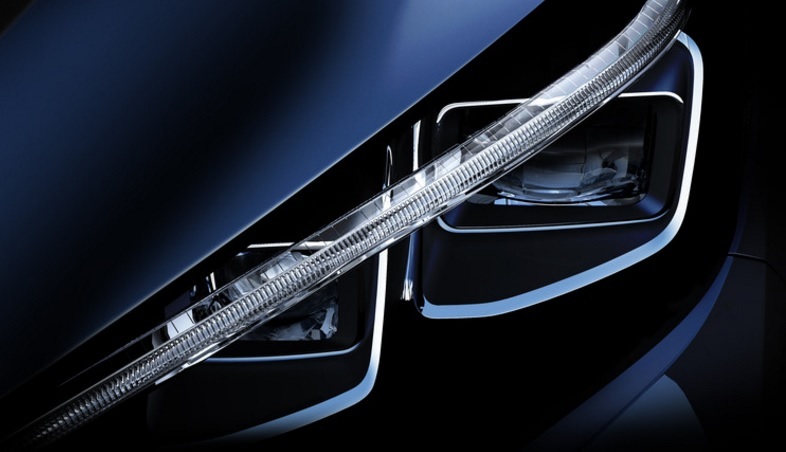 All-new Leaf reveal: A Nissan executive says that the next-generation Leaf will be unveiled on Sept. 6 in Tokyo. Pierril Pouret, Senior VP in Europe, confirmed the date and that the 2018 Leaf be an all-new offering. “This will be a brand new model, designed from a blank sheet, that will make sure we are still in the front,” he said. The company put out a teaser photo yesterday of the new headlights and announced that more will be revealed this summer. The automaker said that the Leaf is the world’s best-selling electric vehicle with more than 260,000 on the road globally. Qualcomm and Mercedes bringing wireless charging forward: Qualcomm is getting ready to bring wireless electric vehicle charging (WEVC) to market in a big way, starting next year with Daimler. Mercedes-Benz S550e plug-in hybrid drivers can park over a charging pad where charging begins automatically once the plug-in hybrid is close enough to the charging platform. It’s meant to take away the problem of plug-in vehicle owners forgetting to charge. The Qualcomm Halo division has designed WEVC units that use resonant magnetic induction to transfer energy. The WEVC system will be manufactured by an automotive electronics supplier which has licensed the technology Qualcomm Halo. Qualcomm worked with Mercedes on the FIA Formula E. Besides running the Qualcomm Safety Car with wireless charging, the company has worked with the Mercedes factory Formula One team, Mercedes AMG Petronas. Uber gets into trucking: Uber announced yesterday that it’s bringing its role as a third-party broker matching customers to drivers over the freight hauling business. Uber Freight is now available to large trucking firms and smaller independent operators nationwide; a test version had been run in Texas since September. It will be separate from its Otto driverless truck business, which has been at the center of a lawsuit by Google’s Waymo against an Uber employee who’s been accused of stealing its self-driving car technology. Solar energy storage: Mercedes-Benz Energy and Vivint Solar will bring the Mercedes-Benz customizable home energy storage system to the U.S., starting in California. It will offer cost savings to homeowners on energy bills, backup energy during blackouts, and clean energy for those driving electric cars. Vivint Solar is one of the largest solar providers in the U.S and will bring its experience installing solar at more than 100,000 homes across the country. India’s national government is supporting vehicle electrification in a fast growing global auto market. Some of that will take place through generous incentives, government fleet vehicle acquisitions, and a growing charging infrastructure. The government wants to get rid of traditional petroleum-powered vehicles in the near future – but there are serious barriers to cross. Goyal said the government is ready to subsidize the development and sale of electric cars and to help Indian companies install electric charging infrastructure. An advisory panel had recommended that the government place an order to purchase 2.7 lakh (about 270,000) electric vehicles including 20,000 buses for its agencies. The panel also suggested that the government provide free charging stations for the first three years to attract potential vehicle buyers. The report has been issued as the government is working on a policy for electric vehicles expected to be put in place by the end of the year. “The aim is to reduce air pollution and our dependence on import of crude oil,” Union transport minister Nitin Gadkari said recently. The Indian government would like to see vehicle electrification play a significant role in reducing carbon emissions and being dependent on foreign oil. Niti Aayog, a government think-tank, recently sent a report to Prime Minister Narendra Modi targeted at electrifying all vehicles in the country by 2032. It’s likely to shape a new transport policy, according to government and industry sources. However, like the U.S. and other countries, vehicle electrification has a long way to go in India’s new vehicle sales. Plug-in electrified vehicle sales, like in most large vehicle markets around the world, have been slight in India. PEVs represent slightly more than 1% of new vehicle sales in that market. 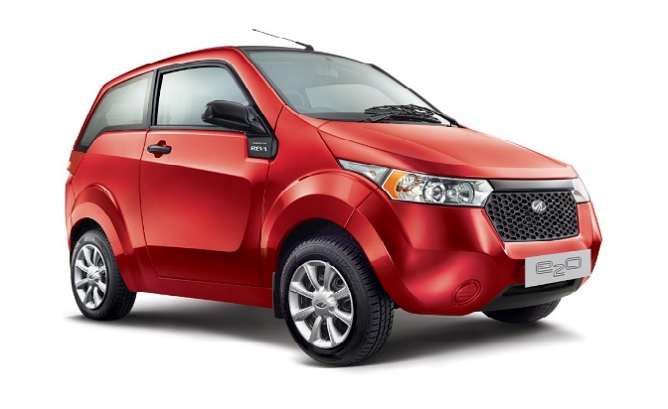 Indian corporation Mahindra & Mahindra is the largest manufacturer and seller of EVs in the nation. The Mahindra e20 small electric hatchback is the top seller in India for that segment. Most of the EVs are built in India, such as the Mahindra e20 and e-Verito, and Maruti Suzuki electrified models. The BMW i8 import is another top seller in that market, as is the Volvo XC90 plug-in hybrid. Tesla plans to enter the marketing. “Hoping for this summer,” Tesla CEO Elon Musk tweeted earlier this year. Automakers are seeing other global markets as being a higher priority for overall manufacturing, and for PEV manufacturing and sales. General Motors is one of them. GM just announced plans to stop selling vehicles in India, along with South Africa, by the end of this year. The company announced on Thursday it will take a $500 million charge in the second quarter to restructure operations in India, Africa, and Singapore. GM will also cancel most of a previously planned $1 billion investment to build a new line of low-cost vehicles in India. China is different for GM, and a few other automakers. 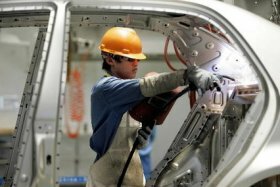 The company and its joint venture partners sold 3.87 million vehicles in China in 2016, up 7.1% from the previous year. China has been the U.S. automaker’s top market for a fifth consecutive year. GM is also bringing several electrified vehicles to China, similar to several competitors such as Volkswagen. China is the leading market in the Asia-Pacific region for many automakers, and not India. 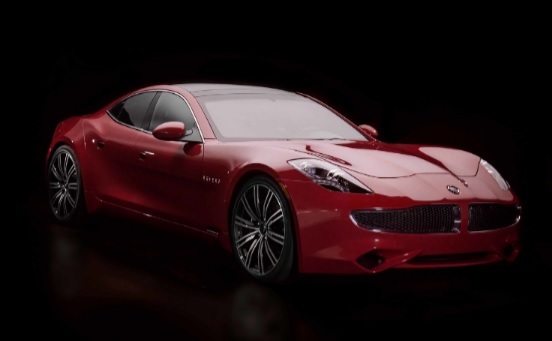 Here comes the Revero: Karma Automotive’s Revero are showing up at dealerships around the country, with 10 of the $130,000 plug-in hybrid sports cars being loaded up and starting deliveries on Friday. The company has set up a sales network with dealers in Atlanta, Chicago, Detroit, Fort Worth (Texas), Miami, Montreal, Palm Beach (Fla.), Pasadena (Calif.), Philadelphia, and Toronto. Customers need to make an appointment at some of the dealerships for a test drive. The cars are being built at the Moreno Valley, Calif., assembly plant, and the batteries are coming from A123, another Wanxiang-owned company that had previously supplied batteries to Fisker Automotive. 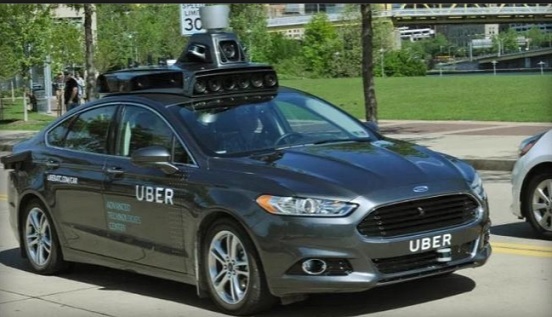 Self-driving car partnership: A book coming out next week says that Uber CEO Travis Kalanick put in a call last year to Uber CEO Elon Musk to become partners in autonomous vehicle development. Kalanick said that Musk spent the rest of the call trying to convince him that the whole idea was too far out, and that Kalanick should stick to what Uber does best and stay focused. That was just a few days before Musk published his 1,500-word blog post outlining a series of very big moves, such as encouraging Tesla vehicle owners make income off renting out their self-driving Tesla instead of leaving the cars sitting around for hours in a parking space. Light & Charge stations: BMW Group is bringing Light & Charge stations to North America through an alliance with BMW’s ReachNow mobility service, Woodland Park Zoo, and the City of Seattle. The system uses the city’s existing street and parking lot infrastructure through a smart city network. Existing light poles are set up with LED lighting, electric car charging, and a sensor unit. The partners opened the first of 20 charging locations Monday that will host both DC fast chargers and Level 2 chargers, bringing 100 new chargers to the city. BMW started up the Light & Charge system three years ago in Europe. The ReachNow fleet has the BMW i3 and other BMW vehicles in its fleet. Pickens on succeeding: Boone Pickens, a founder of Clean Energy Fuels and an icon from the oil and gas industry, published “An Open Letter to This Year’s Graduating Seniors,” in LinkedIn. He gave graduates a few tips on succeeding in today’s economy, which he’s learned from several years out in the field. Pickens, who’s turning 89 years old on May 22, made a reference to being 68 years old and “basically starting my career over.” A reporter interviewing him came from the idea that Pickens was going to need to step aside – the old horse was going to have to step aside from the trough. “That’s simply not true: The feeding trough in America is endless. Step up, work hard, and everyone has the opportunity to succeed,” Pickens wrote.